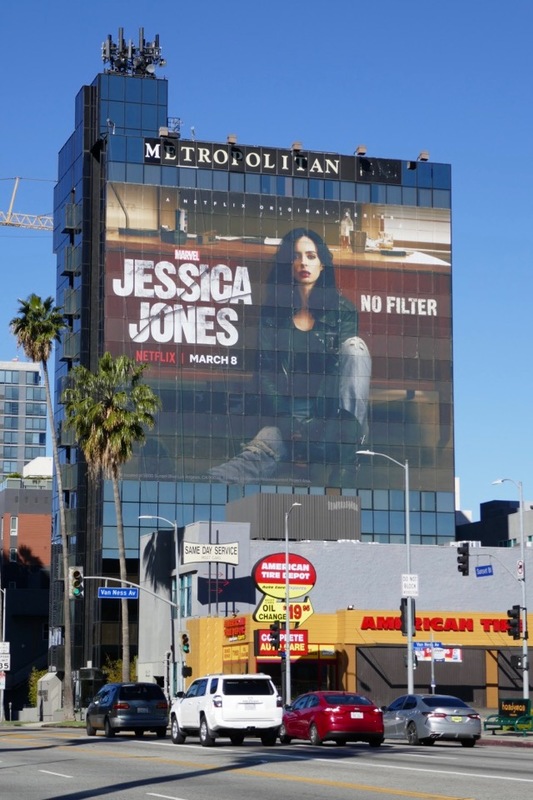 What better way to celebrate International Women's Day than with a strong woman in the metaphorical and literal sense, with the return of Marvel's Jessica Jones for her sophomore season on Netflix. The reluctant superheroine and hard-drinking, no-nonsense Private Investigator has more than a few flaws and sadly even her very own traumatic #MeToo story (even if her's involves a mind-controlling purple-loving psychopath called 'Kilgrave') . 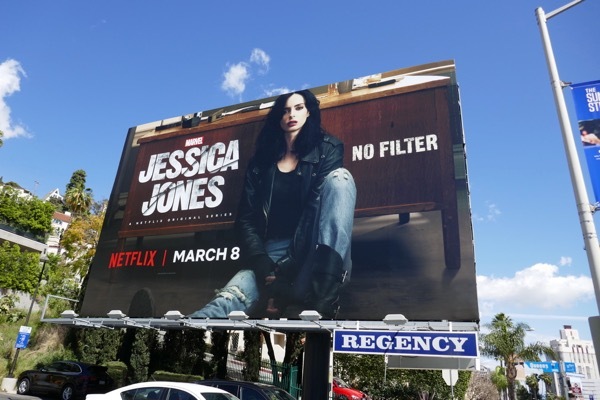 This season after teaming up with Marvel's street level heroes in The Defenders, it's back to the private detective business, working on her own personal issues with the help of her friends and maybe even discovering how she received her super-strength and enhanced abilities in the first place. 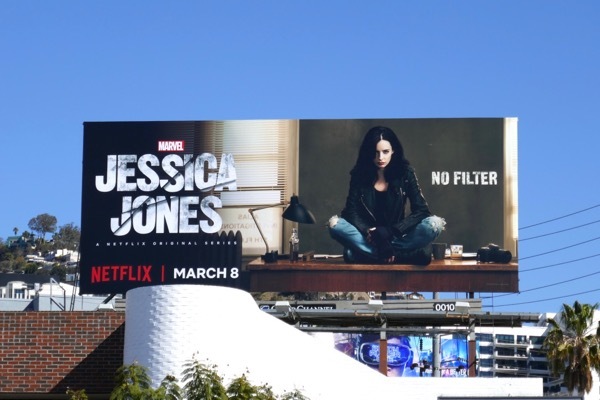 These 'No filter' season two billboards totally nail this Marvel comic book character's personality and were photographed along Sunset Boulevard, Beverly Boulevard and Santa Monica Boulevard from March 4 to March 5, 2018. 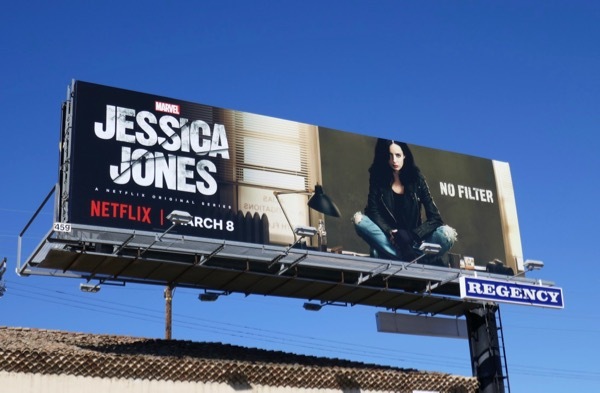 Fans of the snarky superheroine can also enjoy these Jessica Jones season one billboards and these billboards for The Defenders. Meanwhile for more Krysten Ritter you can also check out these Don't Trust the B in Apt 23 from 2012. 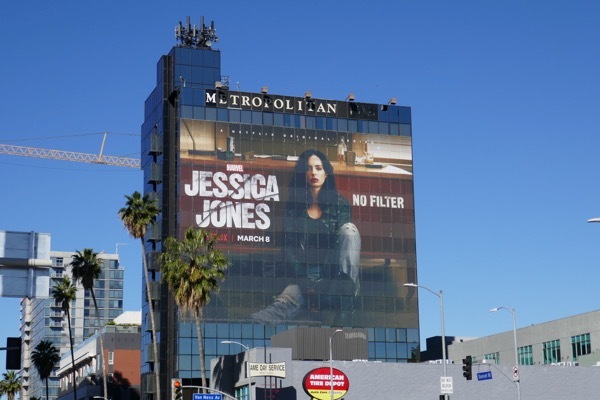 The debut season of Jessica Jones was riveting television, Krysten Ritter an example of impeccable casting and David Tennant as Kilgrave the villain you loved to hate, so let's hope that this second season can continue to deliver. 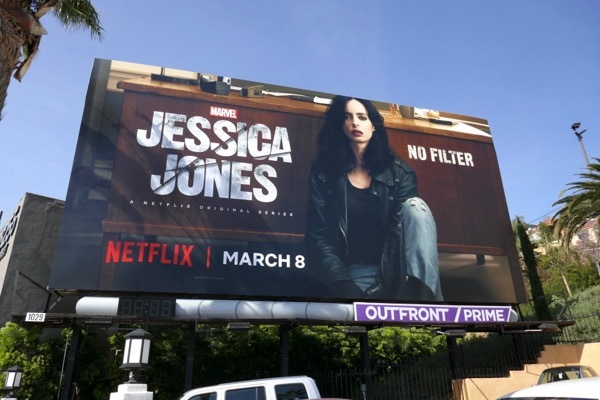 Maybe the all-female selection of directors for the new thirteen episodes can help Jessica Jones to continue to smash stereotypes, break barriers and shatter glass ceilings. 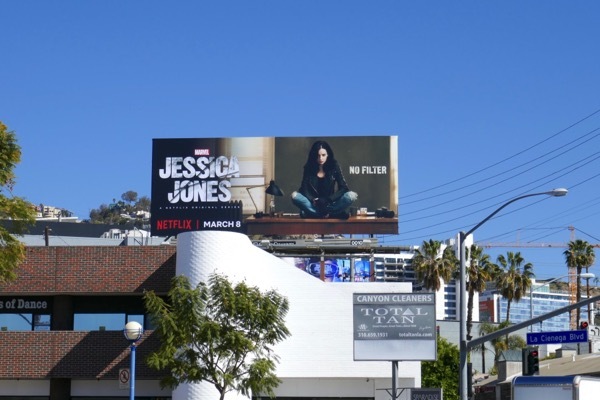 UPDATED: Here's another season two billboard snapped along West Hollywood's Sunset Strip on March 9, 2018. 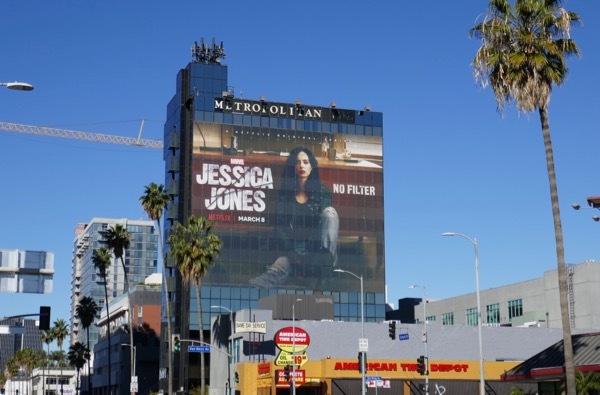 And another example further west along the Sunset Strip photographed on March 15, 2018. 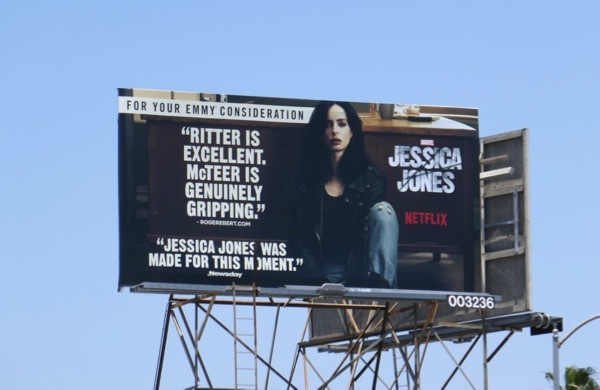 UPDATED: Here's also an Emmy consideration billboard for the sophomore season spotted along Robertson Boulevard on June 24, 2018.